Are you a statistics junkie? Come on, admit it. I won’t tell anyone. I’m a stat junkie myself. Most email marketers seem to have the affliction. And let’s face it: We kind of have to be. Essential email metrics like open, click-through and conversion rates aren’t just “nice to know”. They’re how the effectiveness of our marketing – and even our jobs – is measured. I hope these stats can help you with your marketing whether it’s to look smart in a meeting or spur you toward trying something new. Or maybe they’ll just give you evidence of some aspect of email marketing you’ve suspected all along. 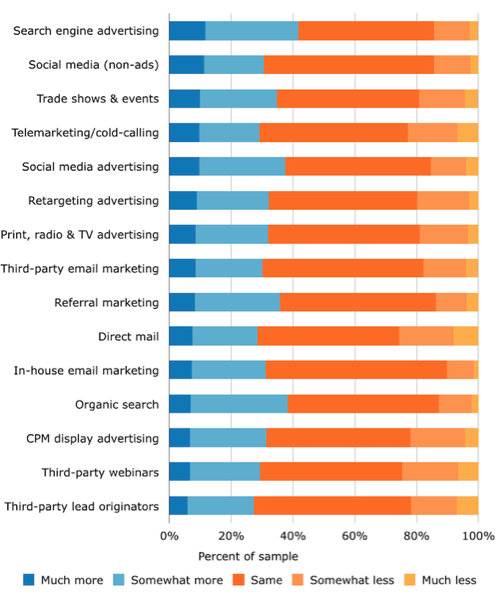 How Many B2B Marketers Are Using Email Marketing? 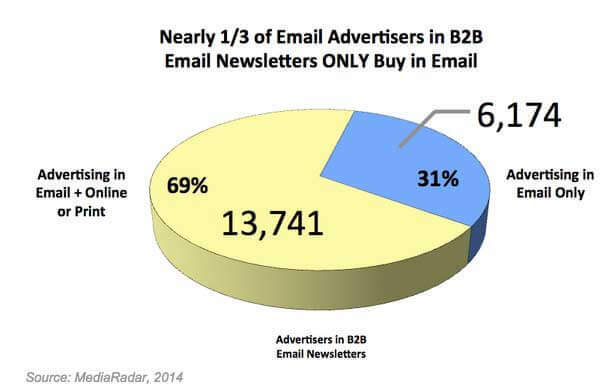 It seems almost every B2B marketer uses email. I found three different stats on this. All of them report that more than 90% of B2Bers use email for their marketing goals. 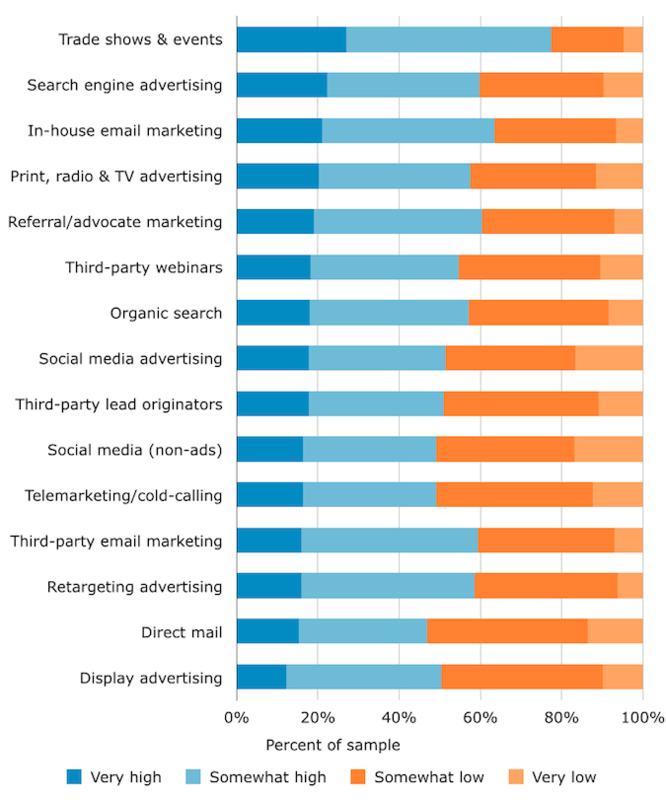 1) 93% of B2B marketers use email marketing, according to WebMarketing 123’s 2015 State of Digital Marketing Report. 2) Software Advice’s B2B Demand Generation Benchmark Survey, done in October 2014, found 97% of the 200 marketers they surveyed use email marketing software. 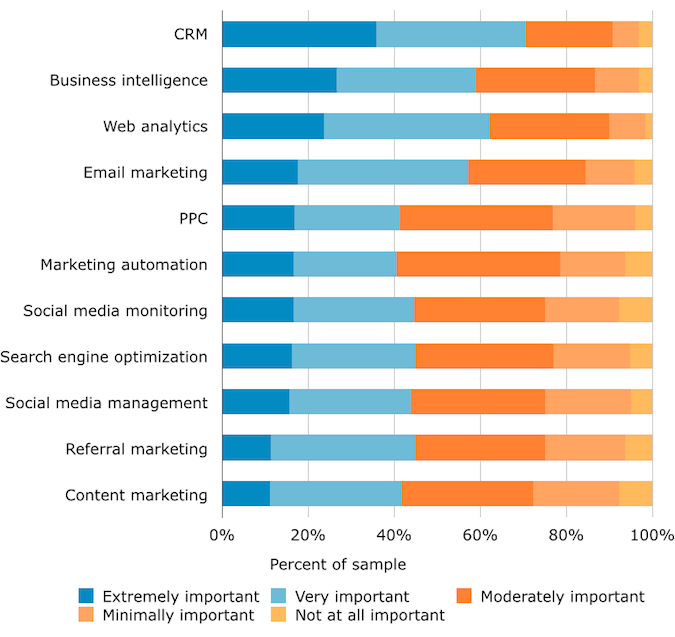 3) 100% of B2B marketers use email marketing, according to the survey results from Regalix’s 2015 State of B2B Marketing Metrics And Analytics report. 4) One of the best things about email is how widely used it is. This applies to B2B marketing even more. 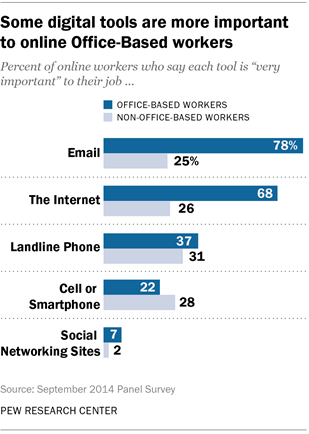 According to a late 2014 Pew survey, office workers find access to email even more important than access to the Internet. 5) Millennials actually like email. They’d like to use it more. 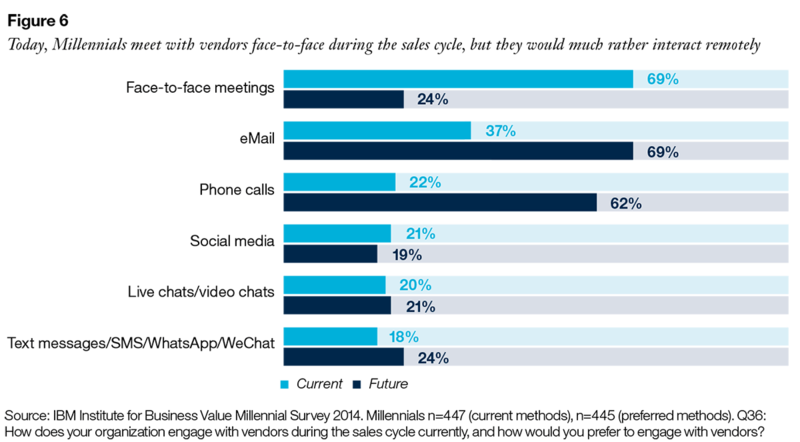 According to an IBM survey of B2B buyers, millennial B2B buyers currently work with vendors most often via face-to-face meetings. But 69% of them would prefer to communicate via email. 7) The email client service MyEmail did a study that found email use for business was a bit less than is usually reported. 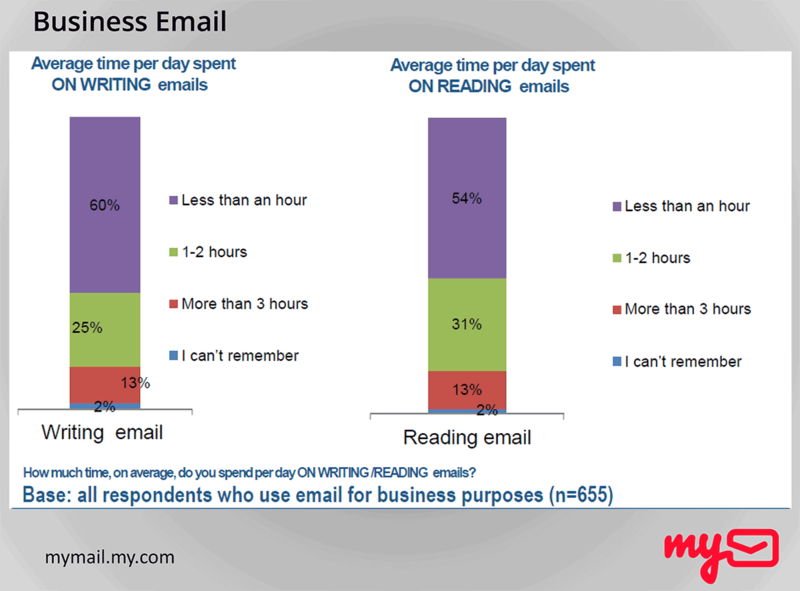 54% of respondents said they spend less than an hour a day reading emails. 8) How many emails do office workers get and send per day? According to the Radicati Group, the average office worker receives about 78 emails per day and sends about 37 emails a day. How Effective is B2B Email Marketing? 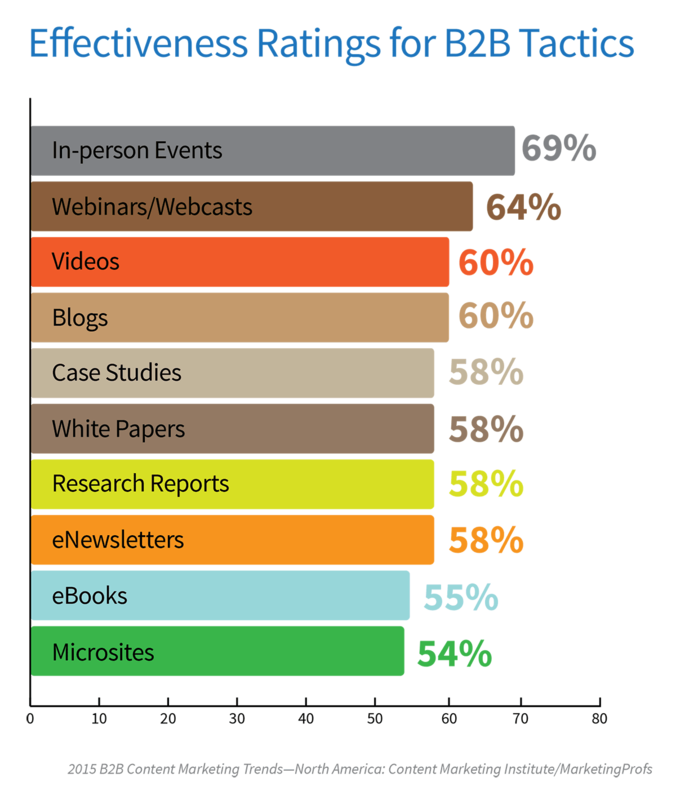 The reports are mixed for this, but every study still showed email among the most effective B2B marketing tactics. From the CMO Council’s 2015 “Lead Flow That Helps You Grow” report, page 7. 10) Or maybe it is pretty great. 31% of the marketers who responded to the survey for WebMarketing 123’s 2015 State of Digital Marketing Report said email made the biggest positive impact on revenue. 11) 71% of B2B marketers said that email was effective for accomplishing their marketing goals in 2014, according to Regalix’s 2015 State of B2B Marketing report. Email came in second place for effectiveness for that question, just after websites, which 81% of B2B marketers said were effective. I was surprised to see how weak effectiveness of email newsletters is according to these surveys. But there seems to be a trend for it. 12) While 71% of Regalix’s survey respondents said email was effective, it must have been an email approach other than email newsletters. 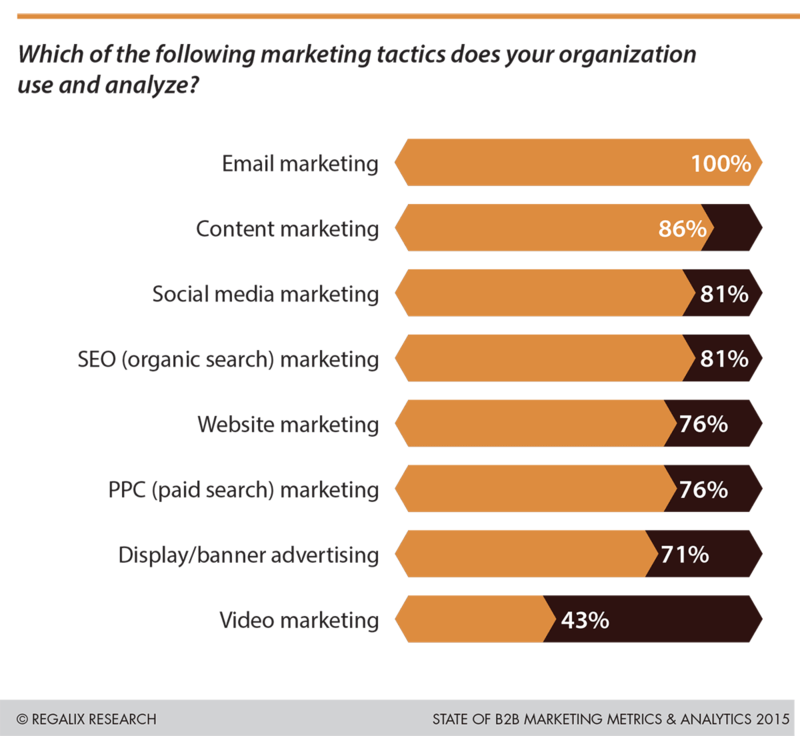 Only 27% of Regalix’s marketers said newsletter were effective for accomplishing their marketing goals in 2014. 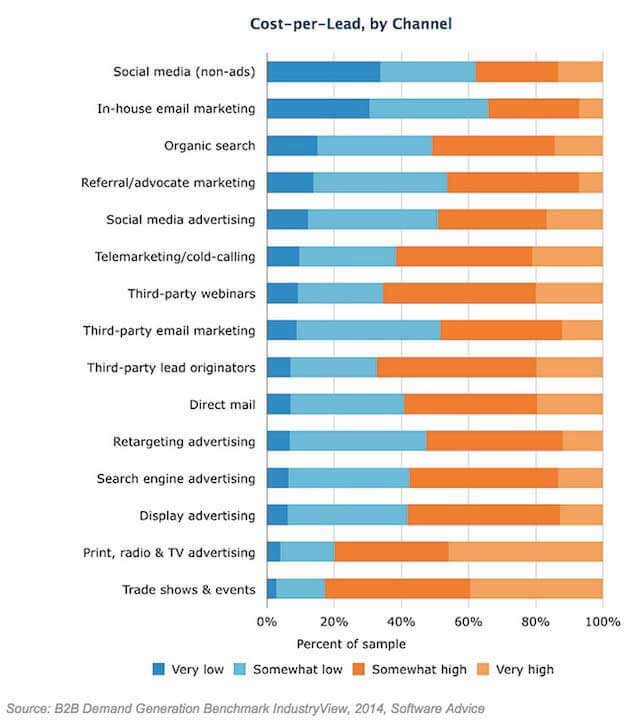 13) Still, most B2B marketers still use newsletters. 83% of B2B marketers use newsletters for content marketing according to the Content Marketing Institute and Marketing Profs 2015 B2B Content Marketing Benchmarks, Budgets, and Trends— North America, on page 19. 14) But even among the CMI and Marketing Profs audience, only a bit more than half said B2B email newsletters were effective. Maybe B2B email newsletters need some rethinking. 15) B2B email newsletter readers don’t seem terribly enthused about newsletters, either. The Economist Group asked 500 business executives what they are looking for from content providers for their report, Missing the Mark: Global Content Survey of Brand Marketers and their B2B Audiences. Here’s how the executives ranked different content formats. Only 19% of executives have found email newsletters helpful. How easy is it to track email ROI? Great news here, as most of you know. Part of why we’ve got so many stats for email marketing is because it’s so easy to track. 16) Email is also the most accessible channel to track ROI for according to WebMarketing123’s 2015 State of Digital Marketing report. 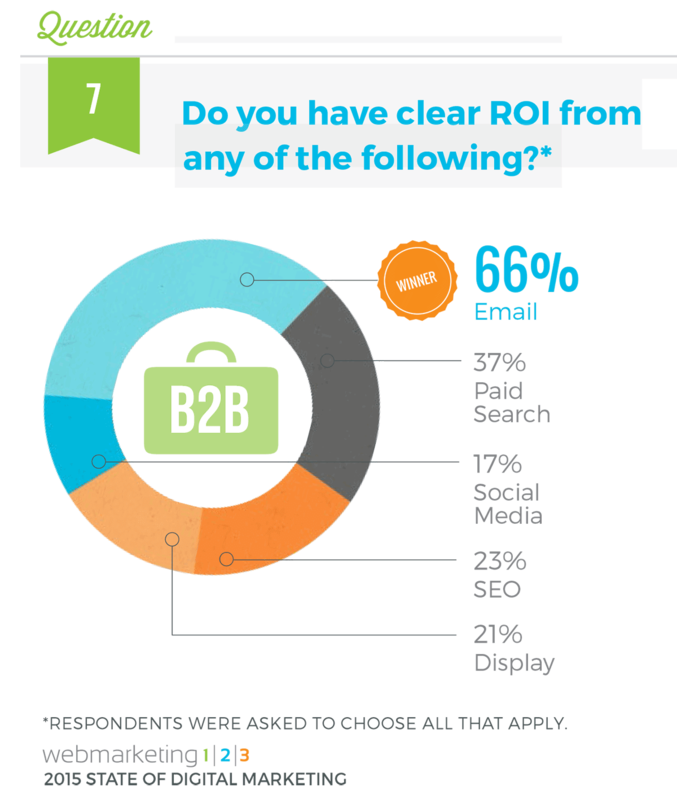 66% of the marketers surveyed said they have a clear ROI for email. That’s almost twice as high as any other channel. 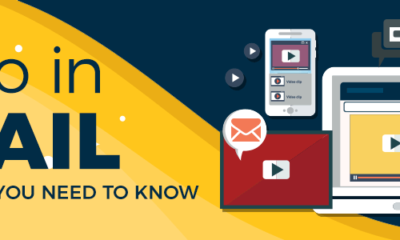 How Important is B2B Email Marketing? Very. As in the top three most important tactics B2Bers use. 17) 73% of B2B marketers believe email marketing is core to their business according to Salesforce’s 2015 State of Marketing report. Note how low content marketing came in. B2B email marketing and lead generation go hand in hand. So here’s a closer look at how email marketing fits into lead generation according to a few studies. 19) In-house email marketing has the lowest cost per lead per channel – if you combine the two choices of “Somewhat low” or “very low”. 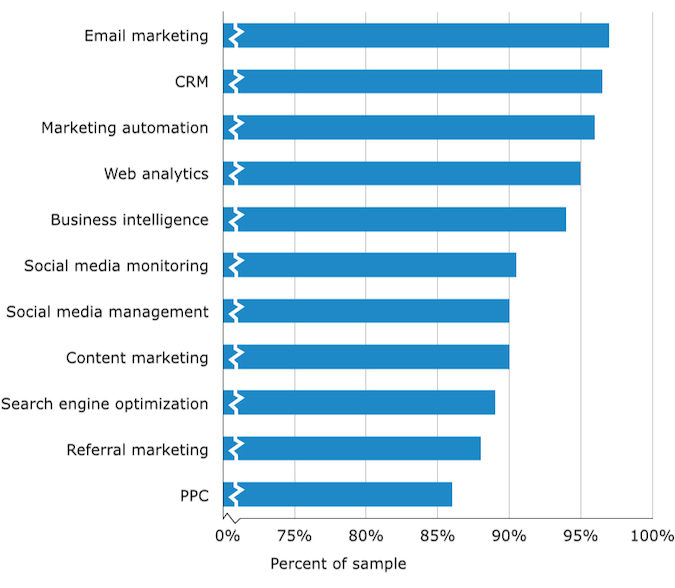 That’s what Software Advice discovered when they asked 200 United States B2B marketers to rank different marketing channels. Notice “Third-party email marketing” down around the middle of the list. 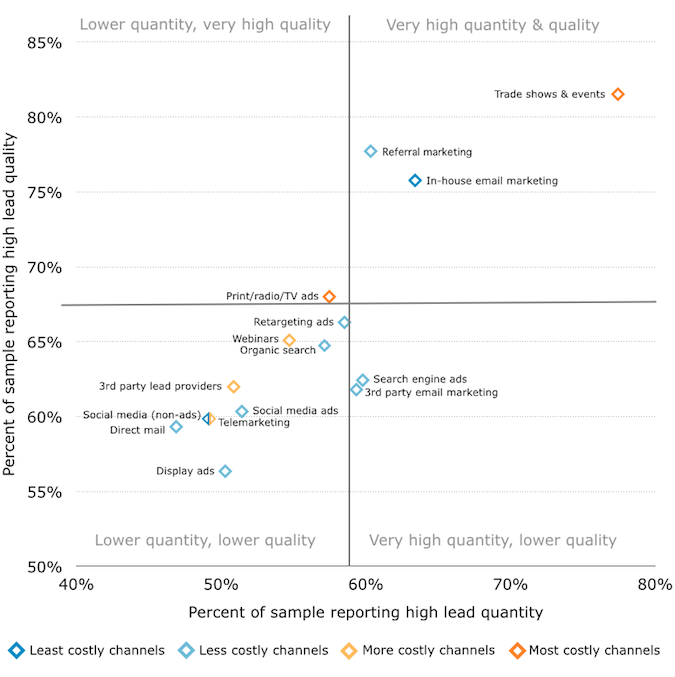 20) In-house email marketing also comes in third for quality of leads by channel. 21) Email marketing comes in third for a combination of lead quantity and quality according to Software Advice. List size isn’t everything, but it sure can help. 22) Email list growth appears to be going well for most marketers. 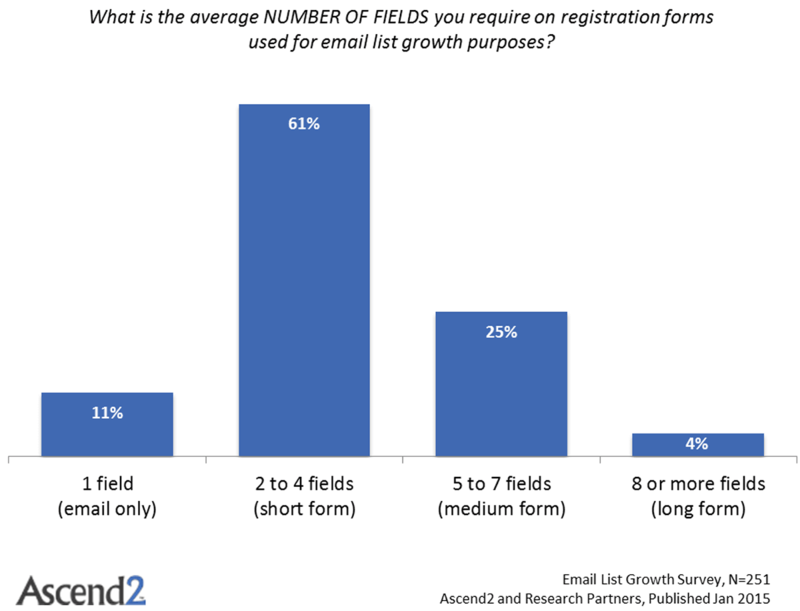 61% of the respondents of Ascend2’s 2015 Email List Growth Survey said their “email list is growing slowly." 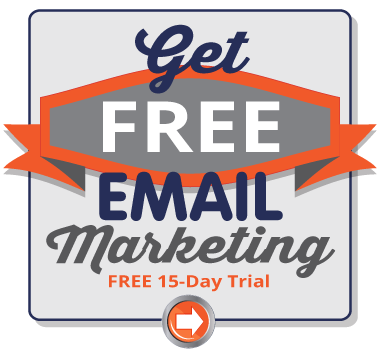 15% said their email list is growing rapidly. That’s a total of 76% of marketers seeing active growth. 24) Here’s a tip for your opt-in forms. You’ve probably heard that the more fields you add to an email opt-in form, the fewer signups you’ll get. But what’s the average number of fields for a B2B opt-in form? Ascend2’s List Growth survey revealed that. Most B2B opt-in forms have between 2 to 4 fields. Email budgets are generally flat according to most surveys. That’s surprising, given that email pretty consistently generated above-average ROI. 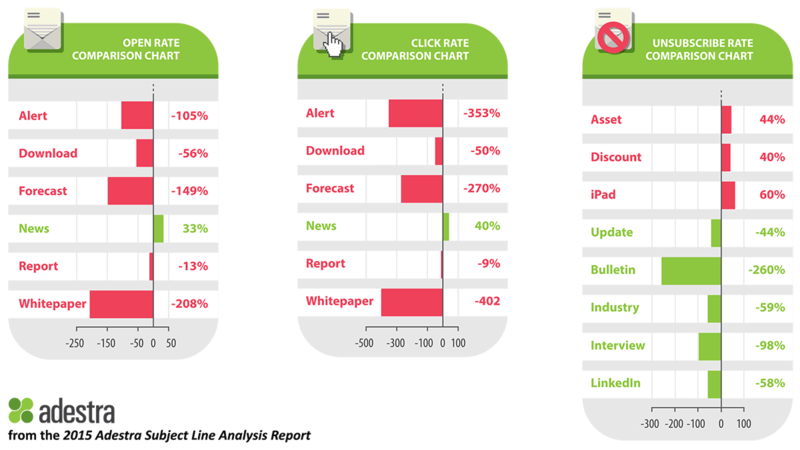 Here’s some data about the finer points: Opens, clicks and subject lines. 27) 48% of B2B marketers say click-through rate is the most important email marketing metric, Salesforce’s 2015 State of Marketing report. 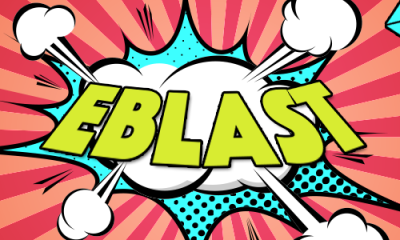 28) Here are the best and worst words to use in B2B marketing emails, according to Adestra’s 2015 Subject Line Analysis Report. More emails are now opened on mobile devices than on desktops. It’s time for every email marketer to start thinking mobile first. 30) 48% of B2B marketers “always/often” use responsive design for their email campaigns, according to Salesforce’s 2015 State of Marketing report. 31) But 27% of B2B marketers don’t know which devices their subscribers are using to read their emails. That’s also according to Salesforce’s 2015 State of Marketing report. We tend to talk almost exclusively about mailing to our own lists. But there are other lists available – without resorting to those nasty purchased lists. 32) 40% of B2B marketers do not send email promotions to purchased third-party lists, according to the CMO Council’s 2015 “Lead Flow That Helps You Grow” report. The story here is in the flip side of that stat: 60% of B2B marketers do mail to third party lists. This is never recommended and not allowed by most email marketing service providers, including Pinpointe. 33) Almost a third of companies that advertise in B2B email newsletters only use email advertising – they don’t advertise anywhere else. 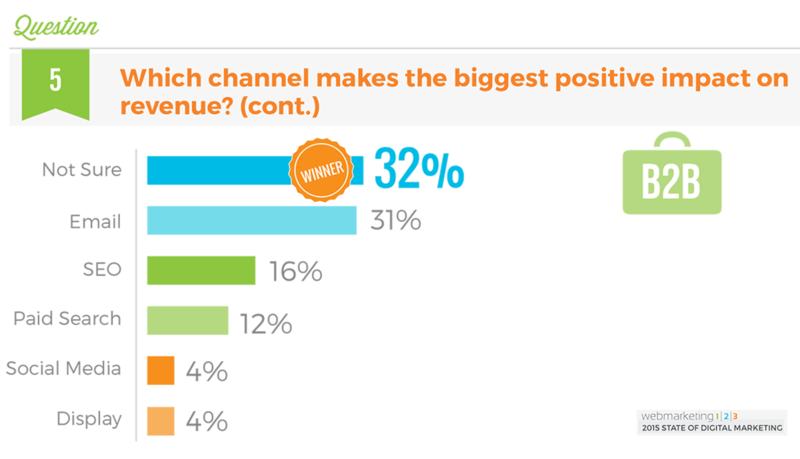 That’s according to a 2014 survey of B2B advertisers by the company MediaRadar. 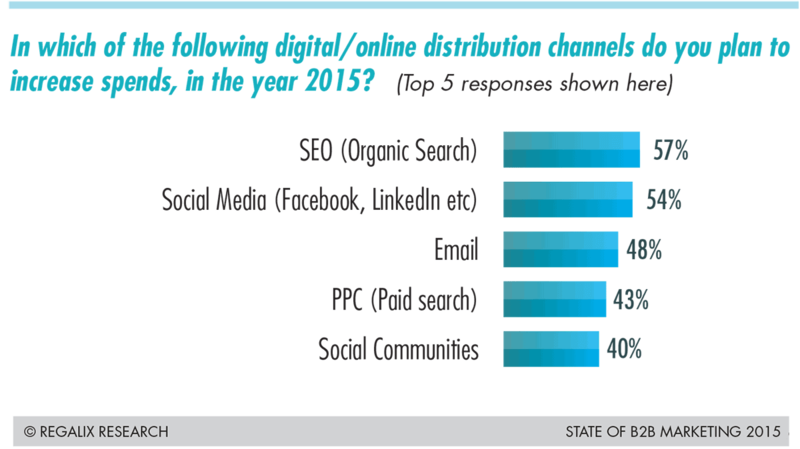 The survey was based on responses from 2,905 B2B email newsletters and 19,915 advertisers. 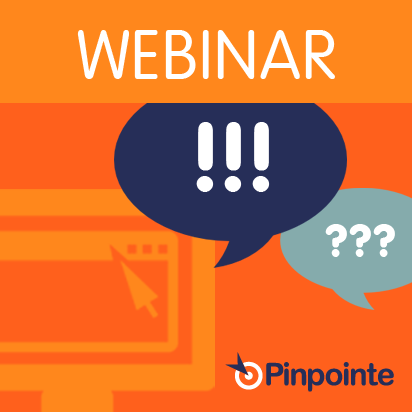 Email marketing and marketing automation aren’t quite synonymous… but they’re close. 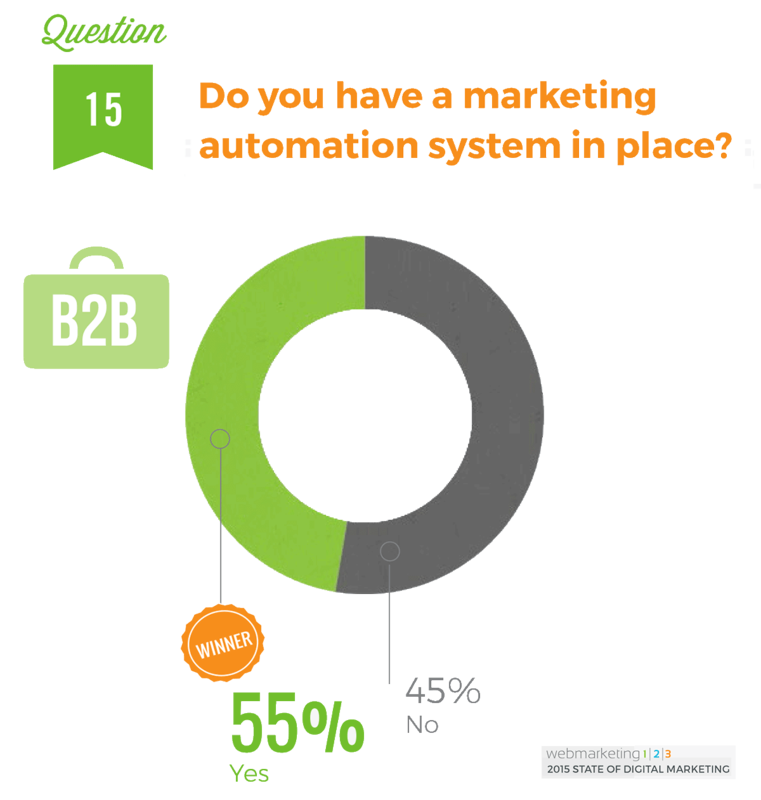 34) 55% of B2B marketers have a marketing automation system in place, according to WebMarketing123’s 2015 State of Digital Marketing report. 35) BtoB Magazine reports a far higher adoption rate for marketing automation among B2B marketers than WebMarketing123’s report did. BtoB Magazine’s survey of B2B marketers found that for 2014, 81% of B2B marketers had achieved either “complete adoption” or “strong adoption”. Whew! You just climbed a mountain of data. I hope you found some insights into how to improve your B2B email marketing work. And if you’ve been struggling to get your B2B email newsletters to be profitable, well, clearly you aren’t alone. The weak effectiveness of B2B newsletters was the biggest surprise I found while gathering this research. 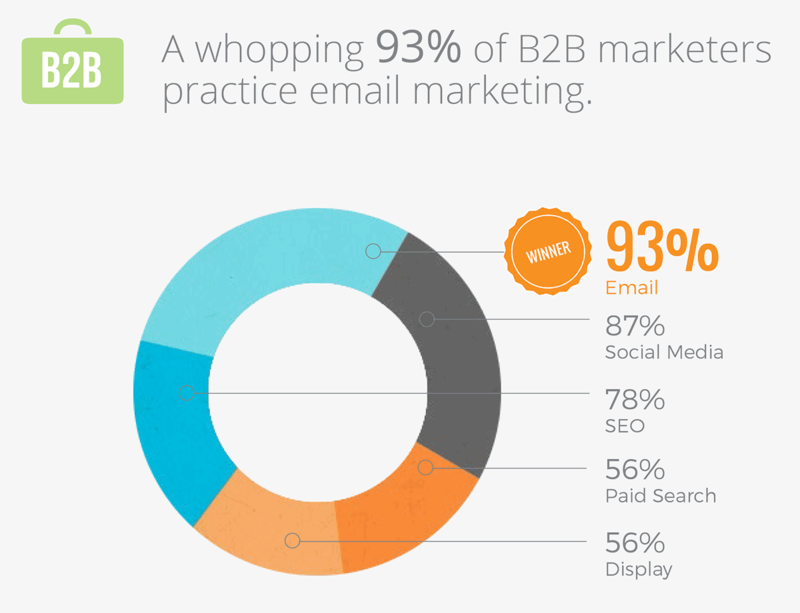 Do you know of any other B2B email marketing stats that we could add to this list? Please send us a tweet at @pinpointe.